Jonathan Randal Hancharyk, of Brunkild, MB passed away on March 8, 2018 at the age of 36. Jonathan passed away at his home peacefully in his sleep from heart complications. Jonathan was born in Swan River, MB on April 26, 1981. He was the second of three children to Randy and Sandy Hancharyk of Garland, MB. Jonathan’s siblings were an older sister, Roberta and a younger brother Joshua. Jonathan attended and graduated from Ethelbert school in 1999. It was there, in an early grade, he got the nickname “Bing” from a poem titled “Jonathan Bing”. This name stuck with him for many years past graduation. Jonathan was an avid outdoorsman spending countless hours hunting deer and enjoying nature. Jonathan spent his early years working on the family farm in the summer and logging with his father and brother in the winter. Jonathan went on to become an accomplished carpenter and spent the better part of his work career devoted to it. In June of 2001 Jonathan met and began dating Jennifer Boiteau of Grandview, MB. In September of 2007 they were blessed with their first child, a daughter, Chloe. Jonathan beamed with pride. Jonathan and Jennifer were married in 2009 in Winnipeg, MB. In June of 2010 Jonathan’s beam of pride grew brighter with the birth of his son Luke. Jonathan’s children were the most important thing to him, he cared for nothing more. Many hours were spent on adventures in the woods teaching his children about the outdoors. Jonathan and Jennifer separated in 2015, but his love for his children remained strong and true. With them he shared his passion for music and many hours were spent listening together. He is left to be mourned by his daughter, Chloe Hancharyk and his son Luke Hancharyk, who thought the world of their father; his father, Randy Hancharyk of Garland, MB; his brother, Joshua and his wife Melissa Hancharyk and their two children Connor Hancharyk and Corbin Hancharyk, who will never forget times spent with their uncle; his seperated wife, Jennifer of Winnipeg, MB; his Grandmother, Gloria Thachik of Radville, SK; as well as many uncles, aunts, cousins, extended family, and many friends. Jonathan was predeceased by his sister Roberta Hancharyk on Dec 11, 1995; his mother Sandra Hancharyk on March 1, 2015; his paternal grandparents Andrew and Mary Hancharyk of Garland, MB; his maternal grandfather, Peter Thachik of Radville, SK. 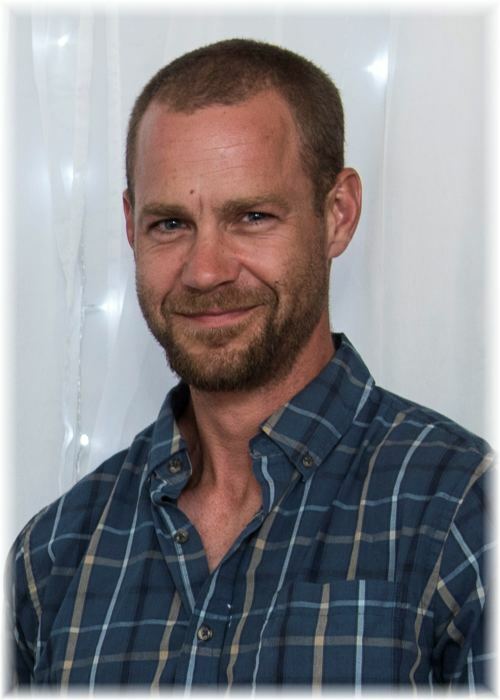 A Memorial Service was held for Jonathan on Saturday, April 14, 2018 at 2:00 pm from the Garland Community Hall in Garland with Ilene Dowd officiating. Should friends so desire, donations in memory of Jonathan may be made to a charity of one's choice.